Hello Fashionistas! This off the shoulder fringed sweater was and is my top most liked post so far on my Instagram & Facebook. This has also been the most highly requested item of 2018. Many of you have asked me for the link to this adorable sweater. However, the store I bought this from no longer has this sweater available, so I have been on the search for months trying to find something as close to this as I could. Now I am happy to say I found a few choices for you that are almost the same sweater. The photo below is the closest one I could find, and I think its practically identical to the first one. I will list the links below each picture for your convenience. I styled these first sweaters with very high waisted jeans because it is a shorter length. Knowing many of you might not like how short this sweater is I also found one that is very similar in a longer length. Plus some that are available in other colors. However white is also very on-trend this fall and winter so I would choose the white winter sweater. Also, every girl needs a pair of white booties this season. They are so on-trend this season! I will link some below in different price points along with mine that will be liked first. LOL ……..You all know me, ladies, I also found some other super cute fringed sweaters I loved while I was doing my search! I will list photos and links for these as well below. I also fell in love with a fringed designer poncho that is out of my budget this season but thought maybe one of you might be lucky enough to be able to own! I will be both envious and happy for you…..LOL. Have a blessed day! Nice sweaters. You look great!! 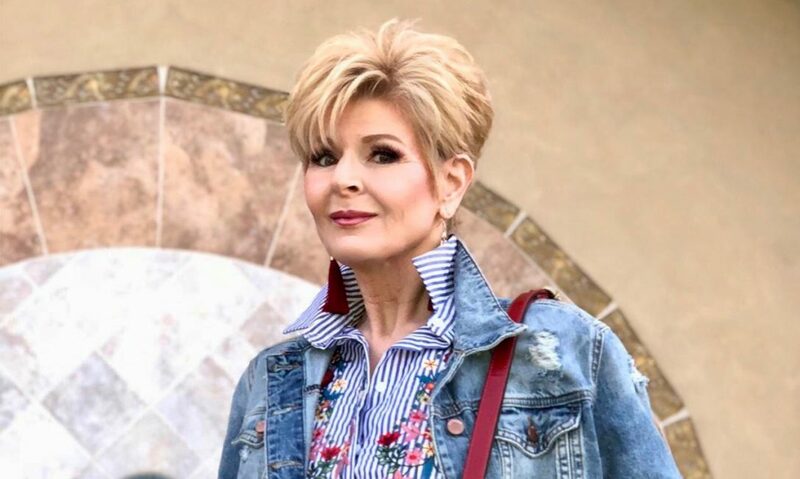 Thank you, Bonnie, ​You always look beautiful!